Manufacturer : Molex. USOC Codes : RJ45. Product Category : Modular Connectors / Ethernet Connectors. 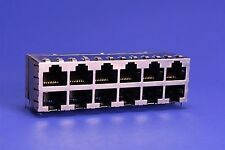 Number of Ports : 12. Color : Black. Mounting Angle : Right. Gender : Female. Eight blades are horizontal and four vertical to provide polarity. The connector can be wired as an AC or DC power cable. Fits radios such as the Drake TR4, Kenwood TS-520, Swan 350, Siltronix 1011, Yaesu FT-101, and others. Manufacturer Part Number: 39301060. 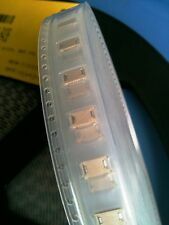 6-WAY PCB R/A MOLEX MINI-FIT HEADER. Manufacturer: MOLEX. HEADER, MINI-FIT R/A 6 WAY W/PEG. 6-WAY MINI-FIT PLUG. Dielectric strength:1500V/m. A QUANTITY OF 15. Material:Clear nylon. GRAY STRIPE. YELLOW STRIPE. WHITE STRIPE. GREEN STRIPE. RED STRIPE. BLUE STRIPE. BLACK STRIPE. VIOLET STRIPE. 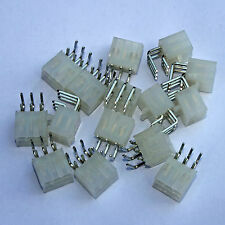 Lot of 20 2.54mm Pitch Solid Header Vertical with Friction Lock 2 Circuits. New by Molex. Mounting Angle: Vertical. NEW & ORIGINAL 3 Pieces. Molex 0901210128. Part # Aliases : 0901210128. Manufacturer : Molex. Type : Breakaway. 2.54mm (.100) Pitch C-Grid III Header, Single Row, Right Angle, 8 Circuits, Tin (Sn) Plating. SIL 90' Header 8 WAY. Molex, LLC. NEW & ORIGINAL 50 Pieces. Part StatusActive. Pin or SocketNon-Gendered. 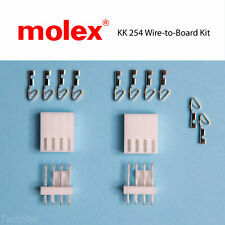 MOLEX 51281-0892 51281-0892 MOLEX 0512810892 CONNECTOR. 5 FPC NON-ZIF HSG ASY ROHS HP# 1253-6436 ROHS 0512810892 BOX 690. 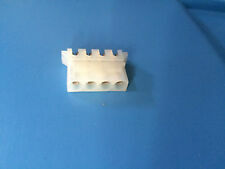 Molex Breakaway Header 3 Position 3x1 Pitch 2.54mm. New by Molex. I am sorry but I do not ship via ANY other method besides Canada Post and USPS. Number of Positions / Contacts: 3. Wire & Cables. Each speaker order includes the following instructions: To "audition" a speaker without scratching or marking it will require getting into the speaker cabinet and listening to it play without actually mounting it with screws. Series 52018. Inverted / Top LatchYes. Component TypePCB Jack. OrientationRight Angle (Side Entry). 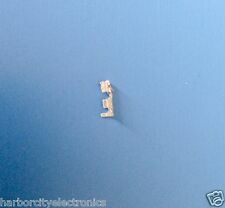 Surface Mount Compatible (SMC)No. PCB RetentionYes. Performance Category3. NON RoHS CROSS FOR 52271-1879. Stud Size8 (M4). Barrel TypeOpen. Wire Size AWG14, 16, 18. Wire Size mm²0.80-2.00. Status Active. Material - Plating MatingTin. Plating min - Mating2.540µm. Full polarisation. 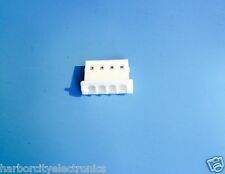 Molex type43025-0200. 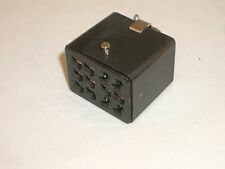 This2-way Micro-fitfree receptacle is part of an interconnect system fromMolex based on a 3mm grid spacing capable of carrying 5A and including many features only found on larger power connectors. DVI-D, Dual Link Receptacle Connector 24 Position Panel Mount, Through Hole, Right Angle. NEW by Molex. 75 Ohm trimmer. Add to Your Listings. 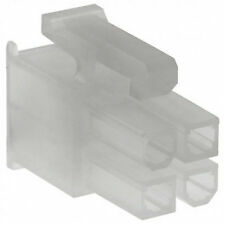 Molex Micro-Fit 3.0 female 12 position dual row crimp housing with a 3.0mm pitch (part # 43025-1200). Pitch - Mating Interface. Lock to Mating Part. Panel Mount. 43020 Micro-Fit 3.0™ Plug Housings,43045 Micro-Fit 3.0™ Headers,44242 Micro-Fit 3.0™ Test Plug.